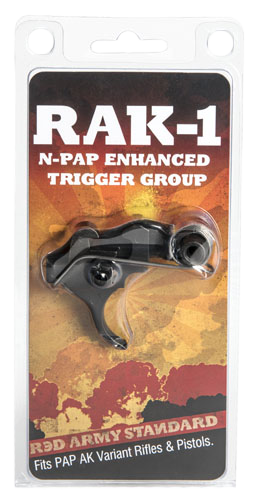 The RAK-1 N-PAP Enhanced Trigger Group has been properly heat treated and hardened to minimize wear and passed a 15,000 round endurance test. 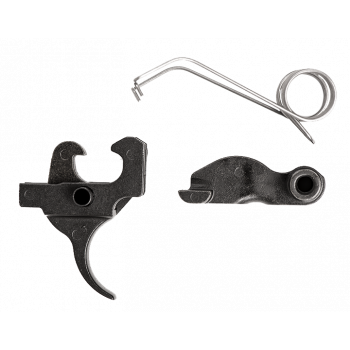 Each trigger group will include a Hammer, Trigger and Disconnector which count as three U.S. 922r compliant parts. 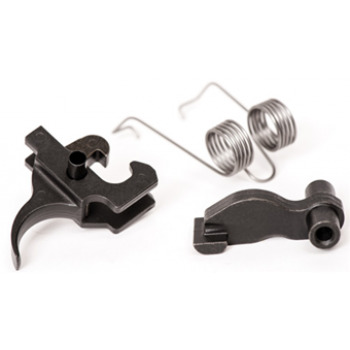 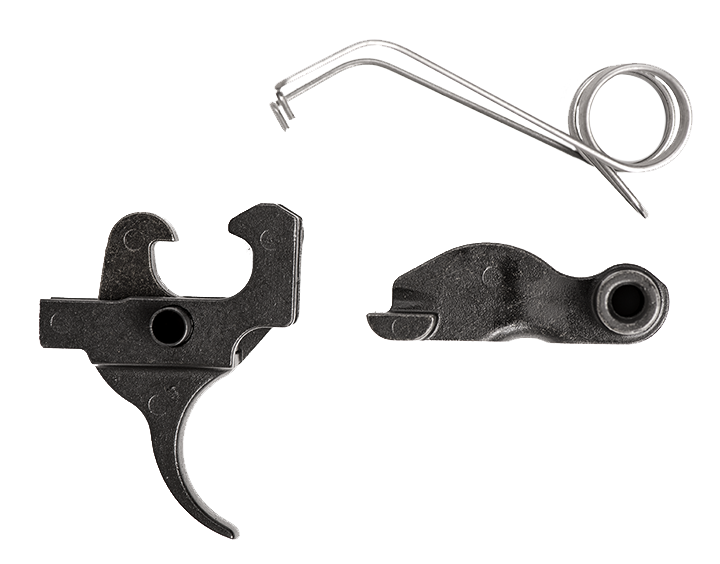 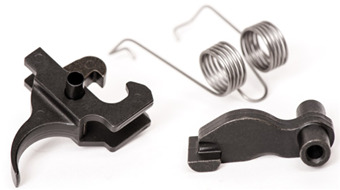 The RAK-1 N-PAP Enhanced Trigger Group will also include a Hammer Spring, Disconnector Spring and a Trigger Sleeve which allows the Trigger/Disconnector to be pre-assembled before dropping into the rifle. 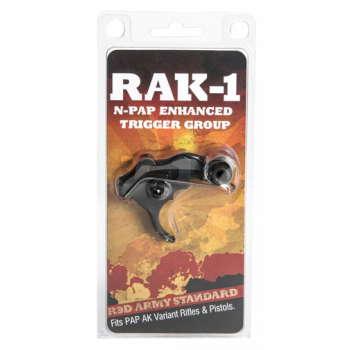 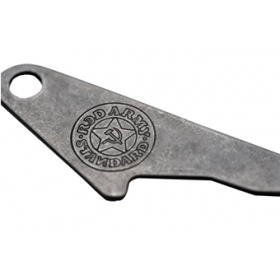 The RAK-1 N-PAP is a great upgrade to any AK style rifle while maintaining the traditional reliability of a stock trigger. 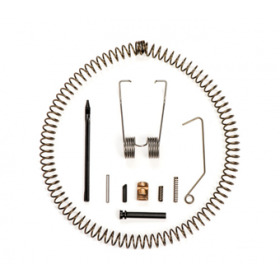 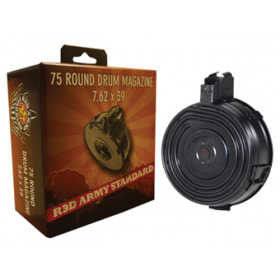 Fits the N-PAP, N-PAP DF, O-PAP, M90 NP, M92 PV and other Yugo AK rifle and pistol variants. 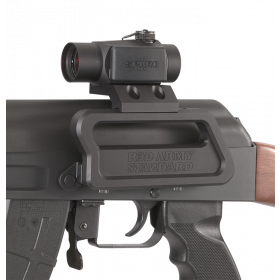 Click here to watch video on upgrading the M85 NP with he RAK-1 Trigger by VSO Gun Channel, June 11, 2016!